Sitting on a chair or wheelchair for long periods of time can cause sore pressure ulcers if the right cushion isn't used, so ensuring your cushion provides adequate relief is crucial. The Sidhil Serenade VE Foam Pressure Relief Cushion is designed with this very problem in mind, and is made with viscoelastic foam to provide pressure relief for those who are at high risk of ulcer development by helping to spread weight and the pressure evenly. 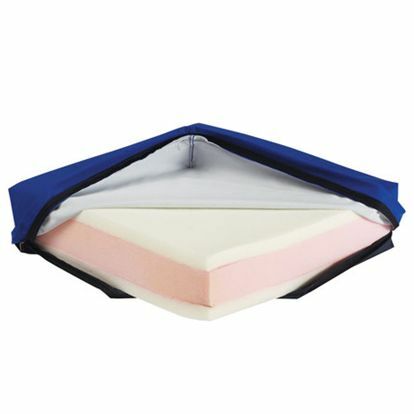 The Serenade VE Pressure Relief Cushion is manufactured with high-quality viscoelastic foam. This foam conforms to the contours of the user's body, providing immersive relief and a high level of comfort. Square in shape, this cushion distributes weight and pressure more evenly to help reduce the risk of sores. This makes it an excellent all-round choice for use in chairs and wheelchairs. The polyurethane vapour-permeable cover makes the cover more durable and protects the foam from being in direct contact with the user.